Hello world, my name is Winky Ruso. 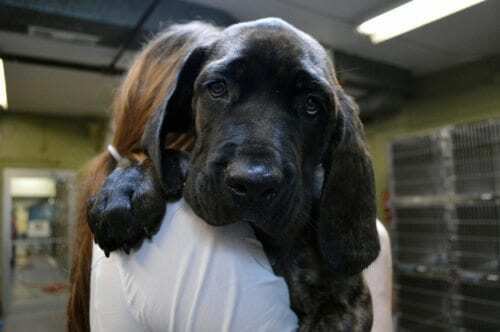 I’m a Cane Corso puppy with some massive puppy paws and puppy-dog eyes. At 11-weeks-old, I already weigh a whopping 34 pounds! Like all puppies, I need someone who will have the time and patience for training and housebreaking. If you have some room in you heart and home for an extra large pup, come meet me at the Maryland SPCA. Visit the Maryland SPCA for more.